Our summer vacation found us in Maine, on gorgeous Mount Desert Island. We spent four nights camping in Acadia National Park at Blackwoods Campground, and then two nights in the town of Bar Harbor at the oceanfront Bar Harbor Inn. We’ve vacationed in Maine every other summer for the past 12 years and we’ll keep coming back for years to come. Why? There is a lot that we love about Maine, such as the scenic rocky coast, lobster dinners topped off with blueberry pie, and of course, the beer! Part 1 of A Guide to Maine Beer will focus on bottled beer from the state’s best breweries. 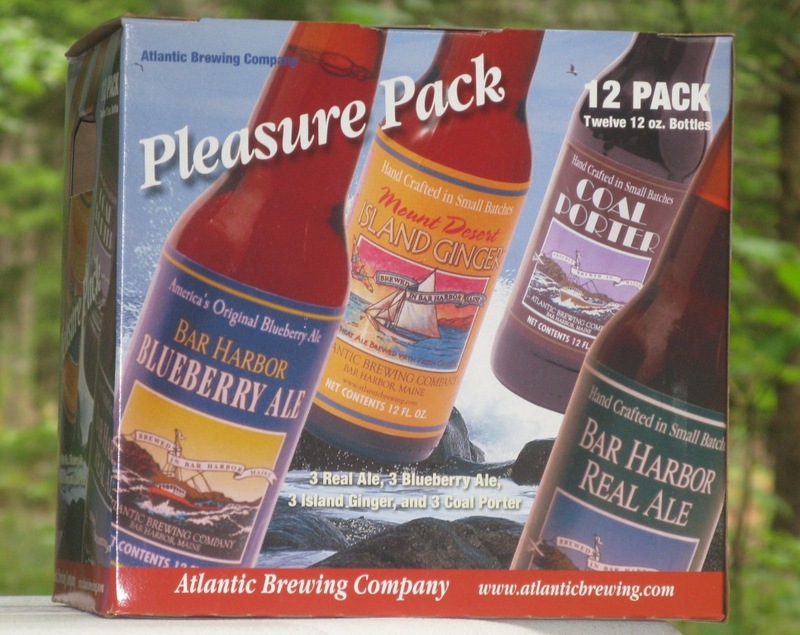 Maine brews a lot of great beer and for the camping trip, I stocked up on mixed 12-packs from Maine’s finest. Hampshire Special Ale, an English Strong Ale, very drinkable at 7%, a standout. 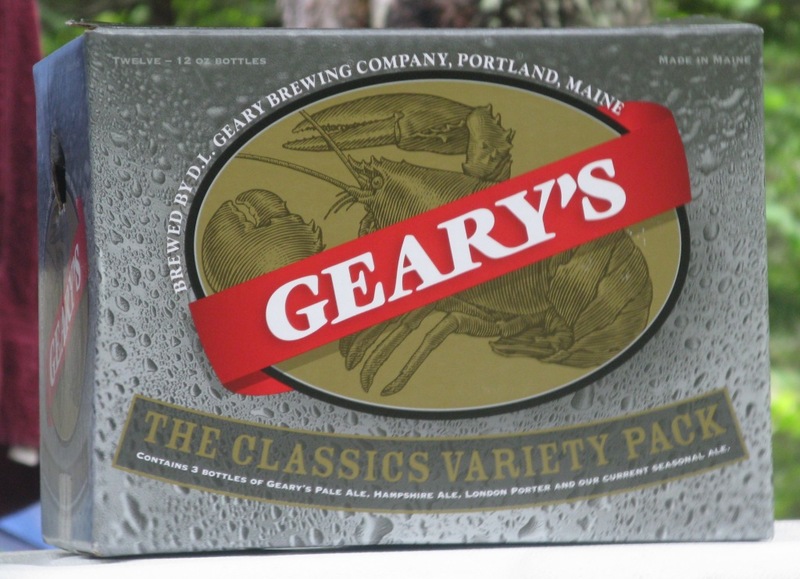 Geary’s Pale Ale was first served in 1986, so this brewery is a true veteran among U.S. craft brewers. And it shows – all of Geary’s beers are solid, tried and true interpretations of classic styles, led by their flagship beer, Geary’s Pale Ale. Shipyard brews some really good beer, as well as a few disappointments, in my opinion. I’m not really a fan of their Export, IPA, or Summer, but the Old Thumper, Chamberlain Pale, and Wheat made the Captain’s Collection a worthy purchase. We visited the Shipyard brewery in August 2008 during our anniversary trip to Peaks Island. The brewery is adjacent to the Old Port, the waterfront harbor area in Portland, so it’s a convenient and worthwhile destination when in Portland. 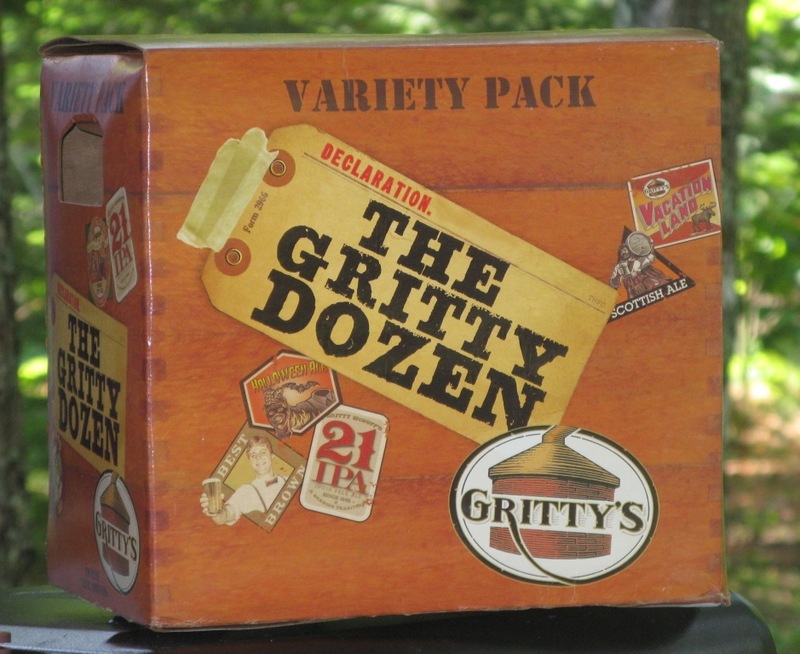 Gritty’s is one of my favorite Maine breweries and over the years we’ve visited the brewpubs in Portland and Freeport. The Gritty’s in Portland’s Old Port is a classic landmark and must-see for any craft beer lover visiting Portland (along with the Great Lost Bear and Allagash Brewery). We visited the small but vivacious brewery during our vacation. More on that and even more excellent beers from Atlantic Brewing Company in my Part 2 of A Guide to Maine Beer. These four Maine breweries are old-timers on the craft brewing scene. One reason they’ve been so successful is their focus on serving the local region instead of trying to expand nationwide. I don’t think it’s easy to find any of these beers outside of New England, but if you come across them, don’t hesitate to try them! didnt we see the Obamas? And, I never got any blueberry pie!